Uncategorized « Tech bytes for tea? With the blistering pace at which technology develops in this cognitive era, the mantra of the day is “disrupt or be disrupted”. IBM explores the possibilities of exploiting disruptive cutting-edge technologies through real-life case studies of how industry leaders have transformed their organisations and markets to lead the pack. I am at a one-day thought leadership conference held by technology leader IBM at Suntec Convention and Exhibition Centre in Singapore. The conference will discuss leading-edge technologies that organisations can exploit to win. I’m looking forward to the solutions showcase that will demo the latest in cloud, Internet of Things (IoT) and analytics, amongst other technologies of the day. Brett Michael Nulf brought delegates through various examples of how technology-driven disruptions had decimated many traditional leaders in various industries in recent years, emphasising the importance for enterprises to stay vigilant in order to avoid getting eliminated because of disruption from existing competitors and new startups. At the rate at which devices proliferate, their numbers will reach 75 billion by 2020. In fact, some ninety percent of data created was in the last two years because of this proliferation of devices. Computing systems nowadays are increasingly capable of taking in unstructured data in its many forms though IoT and the rise of the API economy. 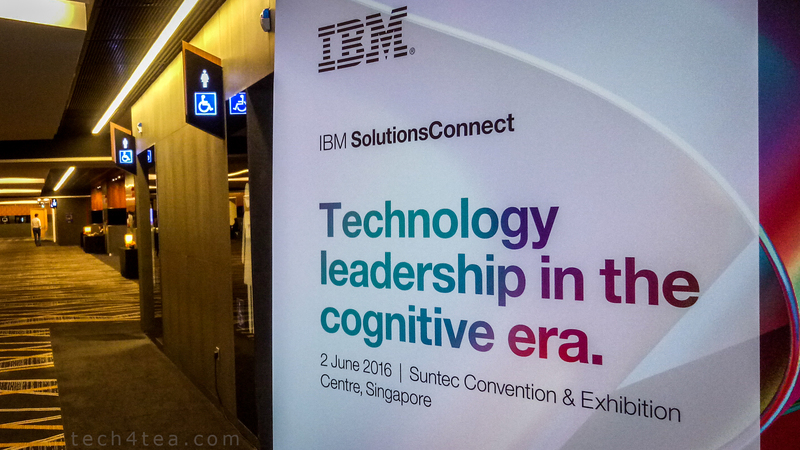 This has led to the rise of cognitive computing which is transforming digital organisations into cognitive enterprises. As a result, new business models are emerging, with many of these based on mobile strategies. New disruptive businesses are leveraging the confluence of analytics, IoT and cloud to create new applications, putting them ahead of incumbent leaders entrenched in legacy technologies. To succeed in this competitive race, enterprises must be nimble and creative, despite their size. In order to do this, winners need to accelerate innovation by evolving a progressive technology mindset, mastering technologies such as hybrid clouds and integrating into the API economy. He mused at how more than seventy percent of companies have dropped off the Fortune 500 list, with the “Unicorn Club” of privately-funded startups reaching US$1bn in value becoming increasingly crowded. Nulf is a Business Unit Executive for MobileFirst Platform & Cloud, Asia Pacific, IBM Corporation. He cautioned that although the Fintech arena is currently seeing the most disruptions, other industries are also prone to technology-driven disruptions, such as in manufacturing, healthcare, and even traditional sectors with a long history – such as consumer packaged goods. An interesting phenomenon that Nulf described was what he called the “Uber syndrome – where a competitor with a completely different business model enters your industry and flattens you”. It was an interesting example where the innovative newcomer (in this case Uber) enjoyed rapidly growing revenue and market share at the expense of traditional taxis – while the overall pie remained the same. One key reason why these disruptive newcomers do so well is the speed with which they move and innovate. Dear readers, I have been experiencing erratic outages with my hosting provider during these past few weeks. This moment right now is a rare window that I do have access to post something on the blog. I have decided to stop updating the blog until July. By then, hopefully my hosting provider would have resolved once and for all the frequent database lockout and corruption problems that I’ve been encountering. Or else, I would have migrated this blog to another hosting provider. In the meantime, I will be on overseas vacation for the next two weeks. Usually I write about my experiences and share my photos on this blog. But due to the hiatus, I will do so on another blog which I plan to set up over the next few days. Once that is done, I will post the URL to that blog in the space here (provided I still have access to update this post). 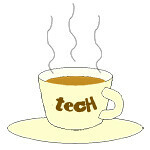 Whenever I am able to, I will post tech-related stuff to my Facebook Page at https://www.facebook.com/gotech4tea. Nikon has launched in Tokyo the Nikon 1 J3, Nikon 1 S1 bodies, WP-N2 waterproof case, 1 NIKKOR VR 6.7-13mm f/3.5-5.6 and 1 NIKKOR VR 10-100mm f/4-5.6 lenses. It also released two new compact cameras – COOLPIX S6500 and COOLPIX 2700. Prices and availability to be announced at a later date. With the popularity of mirrorless interchangeable lens (MIL) cameras, Nikon is beefing up its Nikon 1 line up of camera bodies, lenses and accessories, with new features and functionalities. For those who prefer the simplicity of compact cameras, it has introduced two new cameras in its COOLPIX S-series. Here’s a line-up with key specs. Apple announces the third version of the iPad, upgrading the two-year-old tablet computer with a sharper screen and faster chip. Singapore will be among the first ten contries to get the new iPad on Friday, 16 March. Prices below. The new iPad will be hitting the shelves in select countries on 16 March 2012. Instead of being named “iPad 3” or iPad HD”, the new iPad will simply be called the “iPad”. This is in line with the nomenclature of Apple’s other devices, such as the iPod and iMac, which do not have any version number to the hardware. The new Retina display will have four times as many pixels as its predecessor – the iPad 2. The new dual-core A5X chip comes with quad-core graphics while the rear camera has been upgraded to a 5 megapixel iSight camera wtih advanced optics for capturing better photos and 1080p HD video. The new iPad will come with 4G LTE although, in the near term, it will not be compatible with the 4G network in Singapore. So fans will either go for the cheaper Wi-Fi version or use the Wi-Fi + 4G version with the existing 3G networks in Singapore. Available in black or white, starting prices of the new iPad are the same as the starting prices of previous iterations of the iPad when they were launched. As before, iPad 2 prices has been slashed, putting pressure on other tablet competitors in the market, such as Amazon’s Kindle Fire, competing on price. The new iPad, together with the reduced-price iPad 2, will help Apple maintain its lead over the Kindle Fire, and ward off tablets based on Google’s Android OS, and Microsoft Corp’s upcoming Windows 8 OS.